Hosted by Emmy-winning journalist and OZY co-founder and CEO Carlos Watson, each episode of “Take On America” will uncover the different perspectives among groups who are often stereotyped by race. The series will consist of a panel of celebrities and political leaders which attempt to address political and cultural questions in front of a live studio audience. 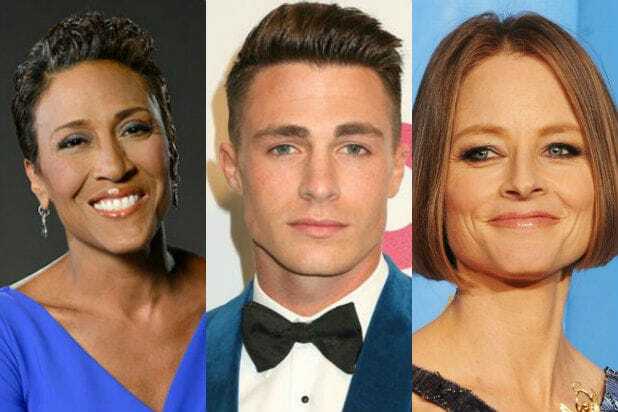 Celebrity guests include Jemele Hill, Lawrence Gilliard Jr., Olivia Munn, Vanessa Carlton, Mayor Carmen Cruz, Elizabeth Vargas, Eddie Huang, Michelle Kwan, and Harry Shum Jr.
Set to premiere on PBS on Oct. 18 at 8 p.m. ET, “Take On America” will be shown on Facebook, YouTube, and OZY.com. In total, Ozy’s online properties reach 40 million users, 4 million of which are paying subscribers, according to the company. The news comes two months after the company announced the launch of OZY Studios, an in-house production studio that doubled the size of the company’s video team. OZY also recently signed with United Talent Agency (UTA) in an effort to accelerate the company’s growth in television, podcasts, and live events.